Can I tell you a secret? Call me obiang(uncool) but my first visit to Millenia Walk was just a few months back on my visit to Paulaner Brahaus for their Sunday Brunch Buffet. 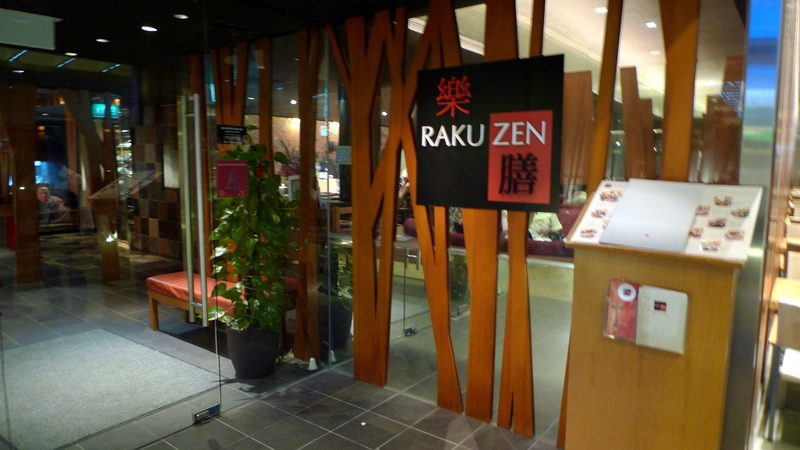 This time, I had initially wanted to check out if the new Jap restaurants located at the 3rd floor were any good, but to trudge all the way up in our forlorn fatigued states(it was already 8.15pm), settling for Rakuzen on the ground floor seemed like a sounder idea. The variety of the set meals left me spoilt for choice. Everything on the set menu just looked so good yet affordable and I haven’t even arrived at the main menu yet! 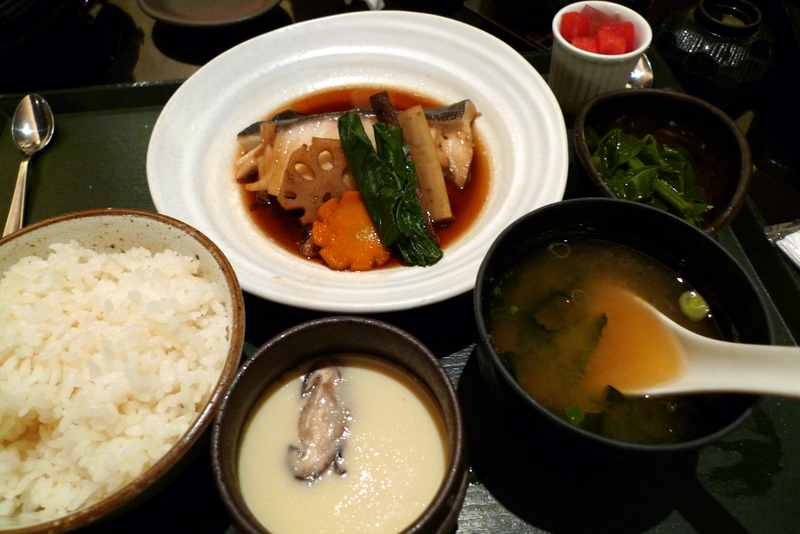 A typical set meal comes with a side of Chawanmushi, Vegetables, Miso Soup and a Watermelon with Konnyaku Jelly cubes. 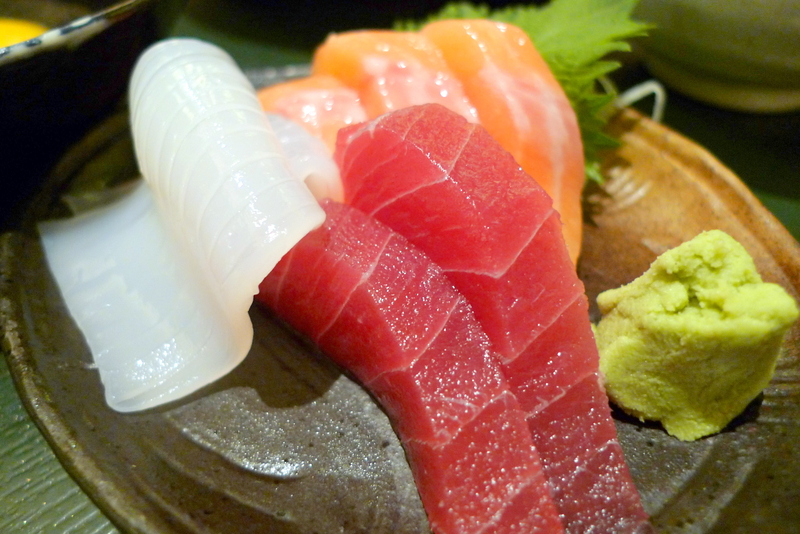 Most of the set meals also allow for Sashimi/Sushi add-ons for an extra $6/$7++. 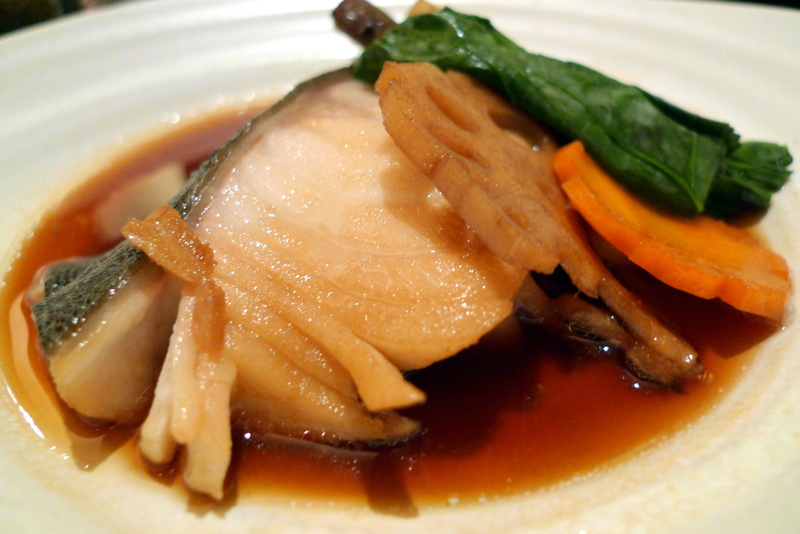 I had the Braised Silver Cod Set($18++). The vegetables and miso soup were pretty standard fare but the Chawanmushi was surprisingly delightful. Free from air bubbles, it was really smooth and had extra ingredients such as prawns and chicken inside. T and K loved my cod but I thought it was pleasant but not great, mainly because even after braising, there was still a lack of flavourful infusion between the cod and the gravy. I liked the accompanying slice of lotus root, nice and crisp. T and K had Sashimi add-ons. Feedback from them was nothing but positive. The real deal for a good deal at $6++. 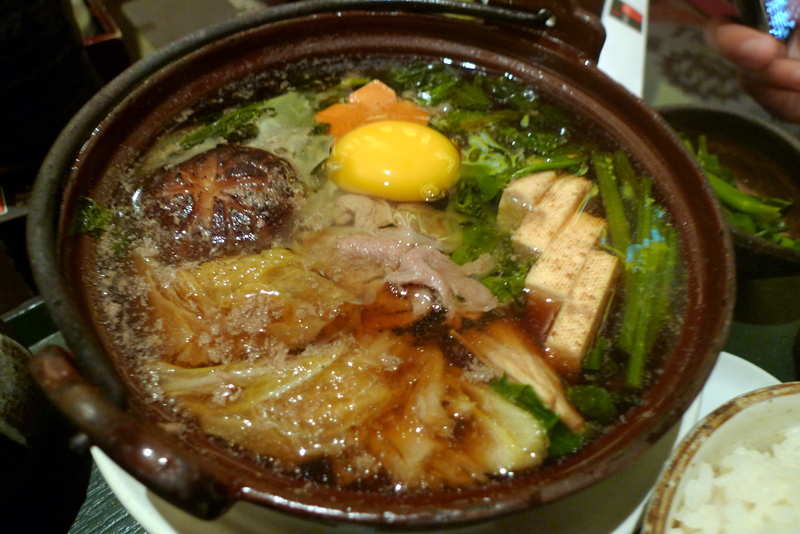 T had the Sukiyaki Zen($18++). I’d reckon the sukiyaki here is a tad better than Sun with Moon’s, the sweet broth was tantalizing and really aroused our sleeping tastebuds. K is a serious fan of Unagi so ordering the Unagi Zen($18++) was a no brainer for him. I pretty much stay away from unagi as much as possible myself ever since I had a small unagi bone which caught onto the lining of my throat and irritated me for 2 whole days but I dare say the unagi here is worth choking over and getting sent to the A&E. It was really well marinated and had a soft supple texture, putting the one K recently had at Dozo to shame. 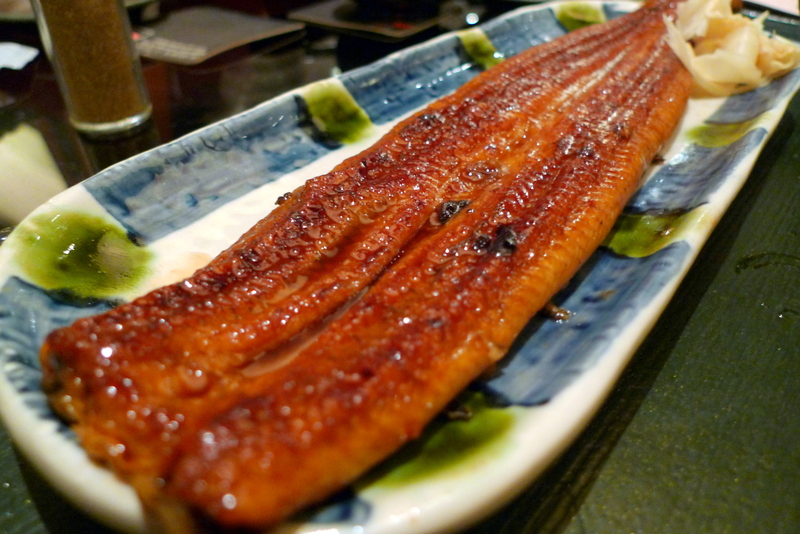 Furthermore, it was also the largest eel I have seen in any set menu. 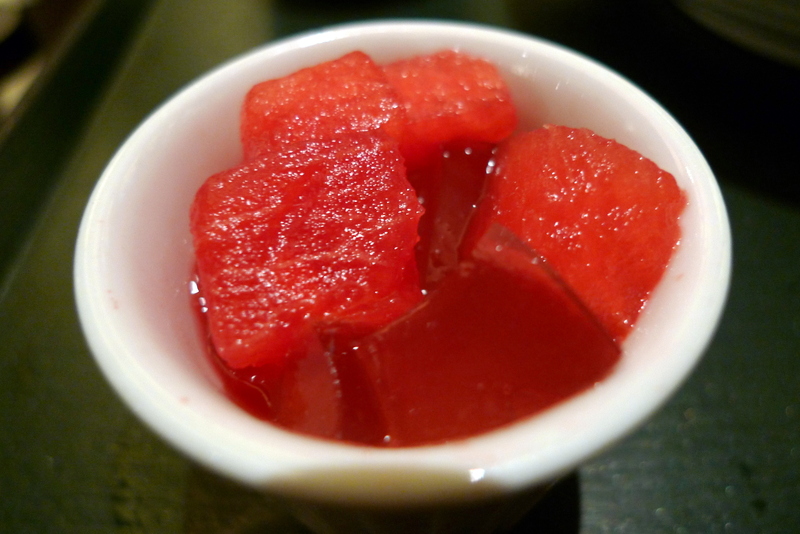 The set meals came with Watermelon with Konnyaku Jelly as dessert. A simple yet sweet ending to an awesome meal. I like Rakuzen. It has just replaced Sushi Tei and Sun with Moon as my favourite mid-range Jap eatery and provides a serenity ideal for spending a nice quiet night with your better halves in a private setting. Service however might be compromised as the staff do have a hard time spotting you whenever you need them(it was so in our case). Categories : All YumYums in my TumTum, City Hall, Cuisine Type YumYums, Japanese, Location of YumYum, Yummy! hey! i went there yesterday. PLEASE GO TRY KEYAKI @ Pan Pacific or Iko Jap Restaurant @ Mirarmar Hotel! I want see ur reviews on them! ps: keyaki the budget is about 100 per head BUT my friend says its really worth. yea its on my to-eat list but damn ex lor. if someone sponsors me i will gladly write a long long review on it!